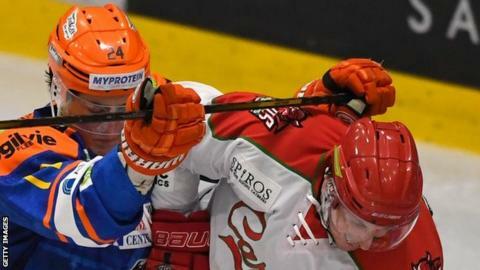 Sheffield Steelers beat Elite League title holders Cardiff Devils to maintain their bid for the 2017-18 crown. Colton Fretter opened the scoring with Matt Marquardt adding a second in the opening period. Devils host Nottingham Panthers on Sunday, 22 October at Ice Arena Wales (18:00 BST) while Steelers are at Belfast Giants (17:00 BST).